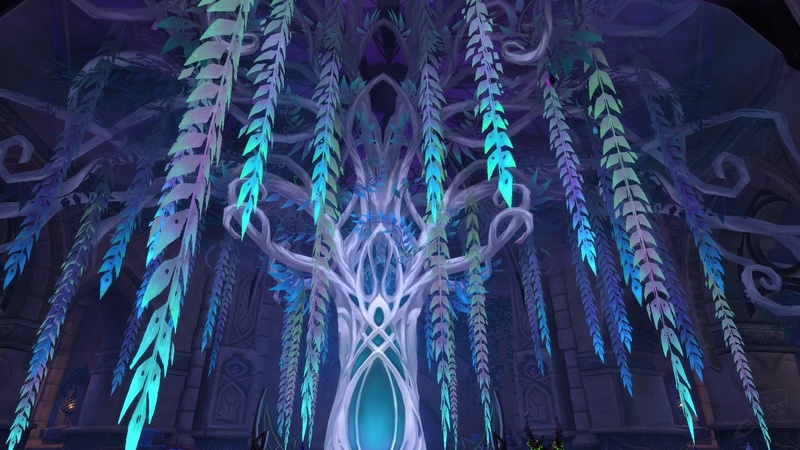 New World of Warcraft Legion Events for the week of June 26 marks 7 weeks until Battle for Azeroth’s launch and includes the Arena Skirmish Event, Packed House PvP Brawl, new Mythic+ Affixes and new World Bosses. For the day-to-day updates on Emissary quests, Xu’rios, Mythic+ Affixes, Violet Hold Mythic and more, please visit the Today in Broken Isles section of Wowhead’s front page. There are now 7 Weeks until BFA’s Global Launch at 3 PM PDT / 6 PM EDT on August 13 or Midnight CEST on August 14. There will be an expansion pre-patch that is expected to release sometime soon. Our datamining compendium compiles Wowhead’s daily datamining articles including class changes and new models. Our class changes highlight all the changes to talents, artifact abilities, class mechanics, and azerite powers. Our lore overview keeps track of all the major plot twists in chronological order (spoilers). This week’s Mythic+ Affixes are Teeming, Quaking, Fortified. Make sure to check out our recently launched Mythic+ Guides. From the weekly Challenger’s Bounty chest, players will receive a piece of gear and Artifact Power based on the highest level dungeon they completed last week. This Weekly Chest has an increased chance to Warforge or Titanforge! For more information on the Mythic Keystone Difficulty, check out our Mythic+ Guide. Packed House is back as this week’s PvP Brawl. The reward for winning is 160 honor for the first win, and 80 honor for subsequent wins. Winning a Brawl for Something Different rewards a Brawler’s Footlocker and winning a Brawl daily also awards an additional set of Wakening Essence, doubling the amount of Wakening Essence that is normally possible from Battlegrounds while this PvP Brawl remains active. Note: this Brawl is not awarding the Wakening Essences, but all other brawls do. This Week’s Greater Invasion Point Boss is Mistress Alluradel. Mistress Alluradel drops ilvl 930 Fire Relic Fel Mistress’ Brand and ilvl 930 Blood Relic Scourge of Perverse Desire. Killing a full rotation of bosses earns Invasion Obliteration. For more information on Greater Invasion Points, check out the Invasion Points Guide. This week’s Broken Isles World Boss is Ana-Mouz. If you’re after Artifact Appearances that drop from World Bosses, remember that the Fury Warrior components and Enhancement Shaman appearance can be found from Trial of Valor bosses in a hotfix. More information on all the Legion World bosses in the Broken Isles World Bosses Guide. If you have been doing your World Bosses regularly, you should have already unlocked Unleashed Monstrosities as well. To use this tint, you must have unlocked the base Valorous artifact appearance via Improving on History first. Here is the full rotation. While this event is active, Honor Gains from Arena Skirmishes are increased by 50%. Will you answer the call to battle? What is an Arena Skirmish? Arena Skirmishes is a form of unranked PvP arena. You can queue with 1 or 2 party members, or by yourself and be matched up with others. You can start doing Arena Skirmishes at level 15, with a new bracket every 10 levels. In Legion, pick up The Arena Calls from Archmage Timear. This quest requires you to win 10 Arena Skirmish battles and rewards Badge of Honor and Glory of the Melee. The archaeology reward for the next week is Prizerock Neckband! If you don’t grab it in the next week, you’ll have to wait another 6 months for the rotation! Completing 8 archaeology quests unlocks an Artifact Tint from This Side Up. Darkmoon Faire starts this Sunday.